Our goal is to connect people with the best local experts. We scored home inspectors on more than 25 variables across five categories, and analysed the results to give you a hand-picked list of the best home inspectors in Tomball, TX. A & L Professional Home Inspections, PLLC is a Houston home inspection company. The family owned and operated business offers inspections which include checks of everything from appliances, plumbing, and windows to foundation, stairs, and garages and also come with a free infrared imaging of HVAC systems and electrical panels. Additional services include inspections of pools and spas, out buildings, and septic tanks as well as whole-house infrared scans, and inspections for Move In Certified Home are also available. Homeowners should be present for the inspection so the inspector can explain everything per Texas Real estate Commission's "Standards of Practices." A & L Professional Home Inspections is licensed, holds a Supra Key, and has achieved an A rating with the Better Business Bureau. Cypress Inspections is a professional real estate inspection company serving Houston, Cypress, Rice Military and other areas surrounding the Harris, Fort Bend, Northern Brazoria, Montgomery, and Waller Counties. Cypress Inspections was established in 1991 and offers inspections for all kinds of properties and construction. Cypress Inspections can inspect new homes, resale homes, room additions, remodeling, condominium, townhome, vacation home, apartment buildings, multi-family building, commercial building, home maintenance, home construction phase, and more. Cypress Inspections also provides general liability, errors and omissions insurance coverage, supra key for electronic lockbox, and reports submitted on the same day as the inspection. Fast House Inspections specializes in providing home buyers and sellers with high-quality interior and exterior inspection services that accurately document the condition of real property. The fully licensed, Houston-area business focuses on conducting unbiased, comprehensive inspections of all major systems and components of residential homes. The family-owned and operated business commits to providing customers with the highest level of service and attention to detail that ensures peace of mind. Fast House Inspections features a team of exceptionally trained professionals skilled at performing noninvasive examinations of roofing, siding, attic spaces, appliances, heating and cooling systems, as well as a foundation review. Clients can trust the experienced, dedicated experts to deliver a detailed report of the inspection findings complete with full-color photos. Home Inspections of Houston is a home inspection company located in Houston, Texas. Home Inspections of Houston serves its customers throughout the southeast Texas area within a 100-mile radius of downtown Houston. The types of inspections they perform include pre-purchase, pre-listing, re-inspections, townhomes and condos, duplexes and apartment buildings up to four units, new home construction, and more. Home Inspections of Houston also conducts builder warranty inspection and roof only inspection. Home Inspections of Houston delivers informative, thorough and unbiased inspections. The company owner, Tom Mullins, holds the TREC license #21137. Home Inspections of Houston exceeds the requirements set forth by the Texas Real Estate Commission. Horizon Inspection Services serves Houston, TX and the surrounding communities with quality home and commercial real estate inspection services. Owner Joe Gonzales has been a licensed real estate inspector since 1986 and is also a TREC Professional Inspector and Certified Professional Inspector. He has also served as President of the Texas Association of Real Estate Inspectors and brings years of service and expertise in the construction and inspection industries. Horizon's inspections aim to provide customers with valuable information on the condition of their homes and will include a limited but careful examination of the physical structure and the operation and observation of the mechanical, electrical and plumbing components of each house. The friendly and caring inspectors and staff at Houston’s Edge Home Inspections know that buying a home is a major decision in a person’s life and are proud to be the providers customers trust for their home inspection needs. Defective foundations, drainage, wiring, and decking are only a few of the issues that can cause expensive disasters down the road, so buyers need an inspector they can rely on to be the most thorough, honest, and knowledgeable in the business. The inspectors have years of training and on-the-job experience and take extra time to explain the process, so customers understand every step, and hold to the highest standards of professionalism and ethics to maintain their place as the local leader in honest practices and expertise. Lane Inspection Services is a home inspection company located in Houston, Texas. Lane Inspection Services possesses more than 20 years experience in residential construction. This home inspection company also has over ten years of high-end building and construction management experience. Lane Inspection Services performs inspections for the homebuyer and for new construction and remodeling. They make an educated decision by rendering a professional TREC inspection to evaluate the key components of the home and to verify whether they are operating within the acceptable performance standards. Lane Inspection Services is a TREC professional inspector and an ICC Certified Building Inspector. This company is registered with the Harris County building compliance inspector and are HUD FHA approved. Located in Houston, Texas, MEER Inspections offers pre-sale and pre-purchase home inspection services in Cypress, Katy, Sugar Land, Spring, Woodlands, Tomball, and the surrounding areas. Since their founding, their goal has remained the same: to exceed all requirements set by the Texas Real Estate Commission Standards of Practice. They are fully equipped with the right tools to provide comprehensive inspection services of all aspects of their clients’ respective houses including the structural, HVAC, plumbing, and electrical systems as well as kitchen appliances and garage door openers. They also inspect sprinkler systems, pools, and spas at an additional charge. MEER Inspections is insured, licensed, and registered for their clients’ security and added peace of mind. They are a HomeAdvisor screened and approved business with a five-star rating. 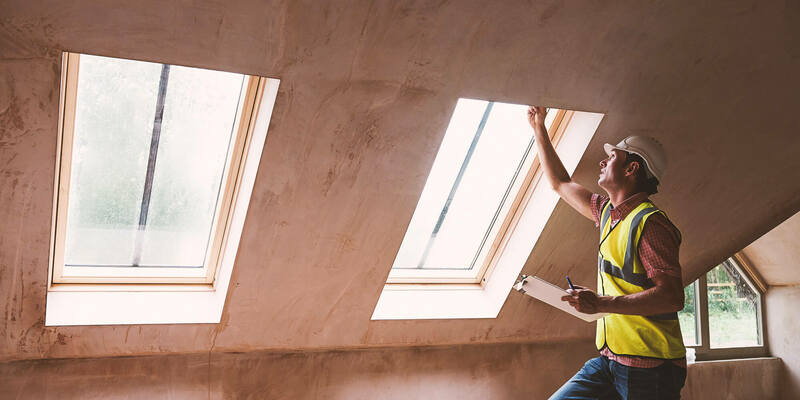 Houston area homeowners who are looking for a licensed home inspector find just what they’re looking for at Trusted Look, LLC. They use the latest tools and technology to inspect the home from the foundation to the roof and will provide a detailed description of the findings in an easy-to-understand report that includes general maintenance requirements and any safety hazards, and includes high-resolution digital photos. The company inspects standing homes, as well as new construction that is done in phases as the home progresses. They also check swimming pools and spas for water leaks, valves, main drains and grates, heater and thermostat, proper fencing and gate security, and more. The inspectors will also provide a seller’s pre-listing inspection, which alerts sellers to any problems before a buyer discovers them.